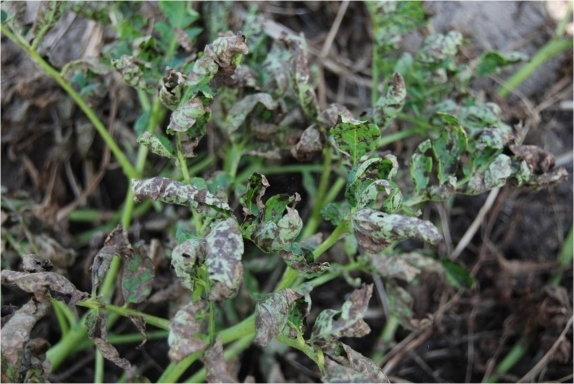 Early blight (caused by Alternaria solani) is a common problem in southern Idaho. 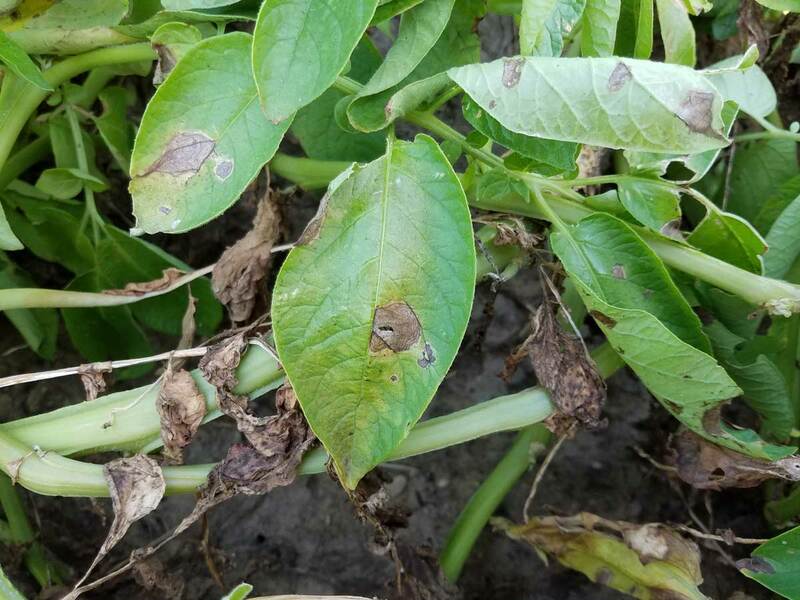 This disease can destroy leaves and cause tuber blemishes after harvest. 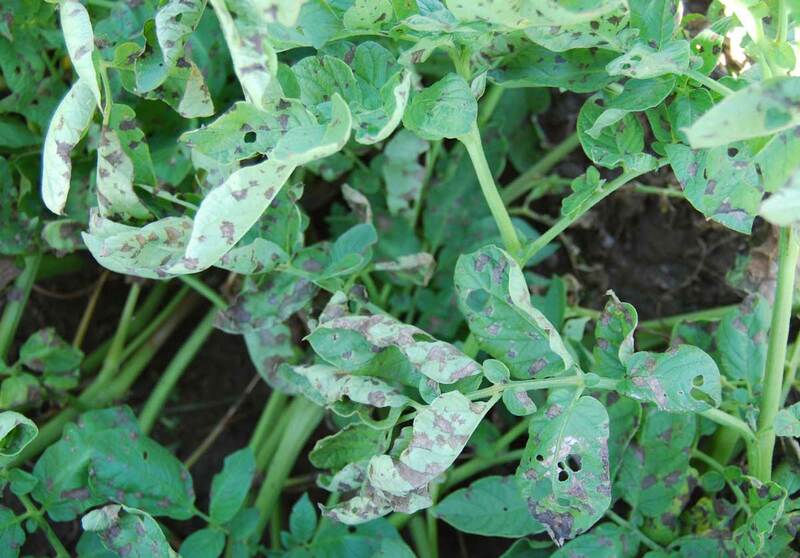 Varieties differ in susceptibility to this disease. 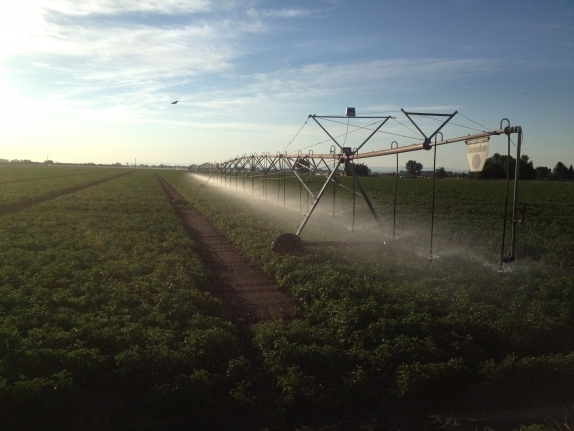 Additionally, plant fertility is an important component to reducing the severity of disease. 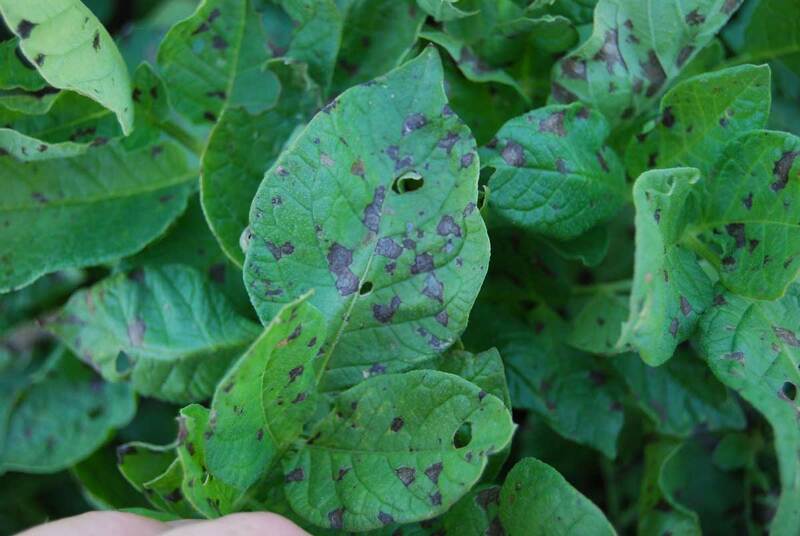 Many fungicides are available which can help suppress disease to manageable levels. 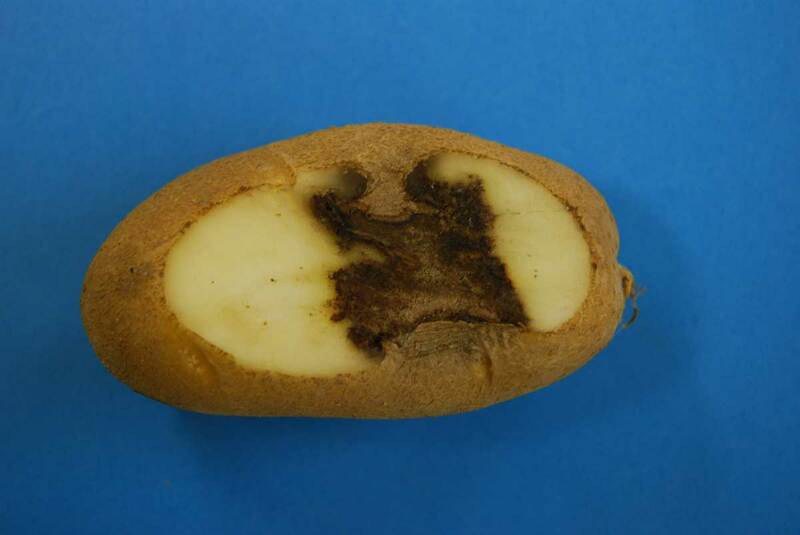 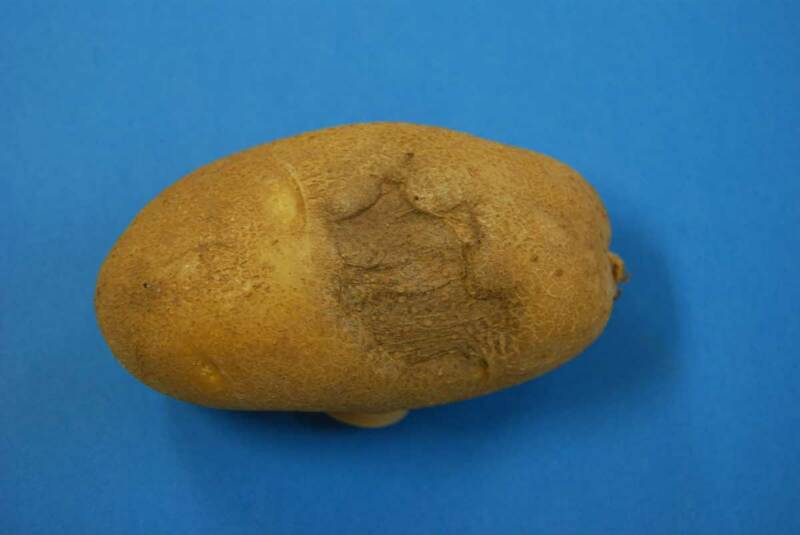 A related disease called brown leaf spot (caused by Alternaria alternata) can also be problematic on potatoes, but this is not as aggressive as early blight.